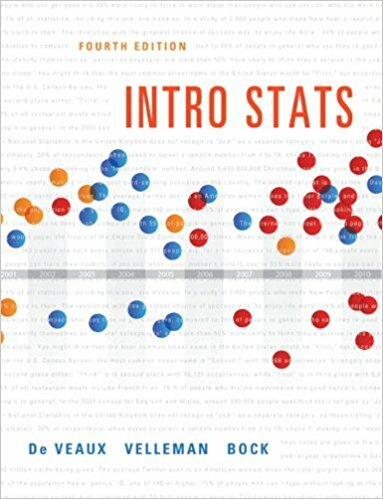 These documents are intended to help describe how to undertake analyses introduced as examples in the Fourth Edition of Intro Stats (2013) by De Veaux, Velleman, and Bock. More information about the book can be found here. Other resources related to the mosaic package can be found under the ‘Other Resources’ tab.